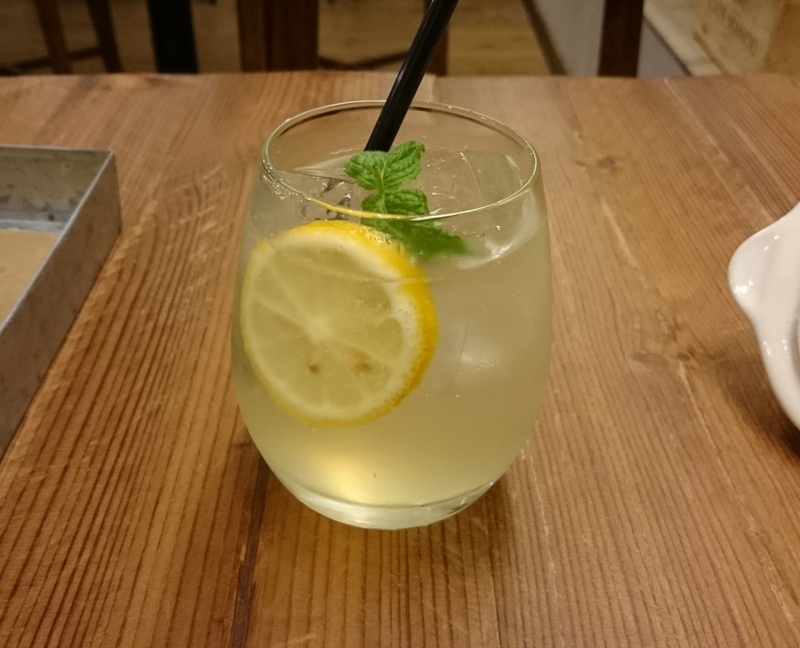 Shops of healthy sandwich that there are vegetable sommelier, went to lunch to "Chidori". 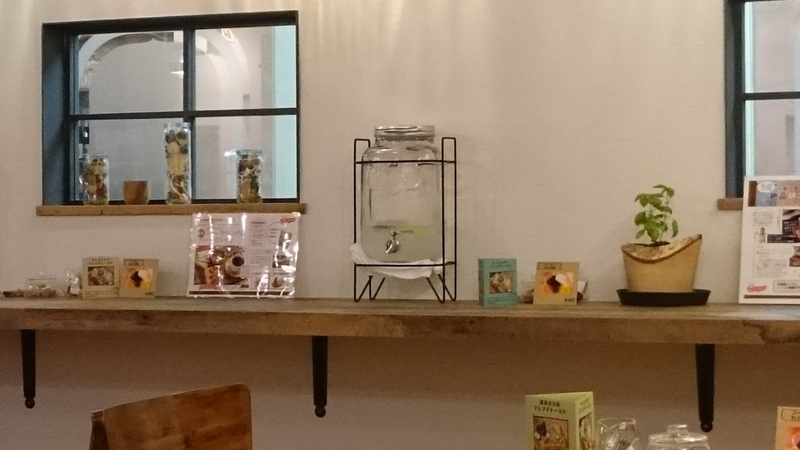 This shop is a restaurant with a healthy sandwich and soup using seasonal vegetables and fruits carefully selected by vegetable sommeliers as the main menu. Sandwiches are menus that can take plenty of vegetables, considering nutrition and eating easiness. Soup is a vegetable, has a soft sweetness on the base, it is a soup of eating texture where vegetables are eaten with some solids left. 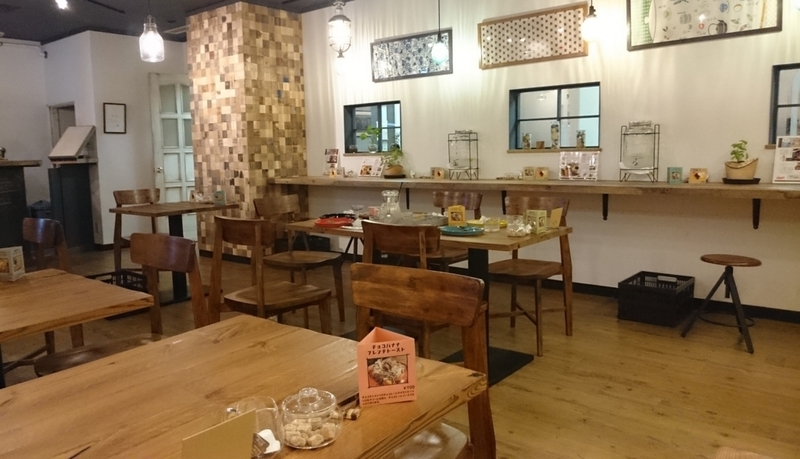 The inside of the shop is a simple yet stylish interior decorated with natural elements that people like DIY can refer to. 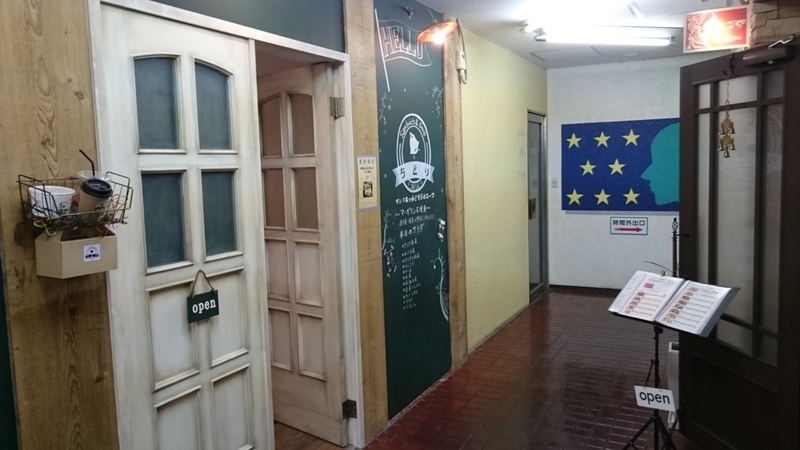 The place is the green space building B1F opposite the Hokkaido University Botanical Garden. Where is the entrance? 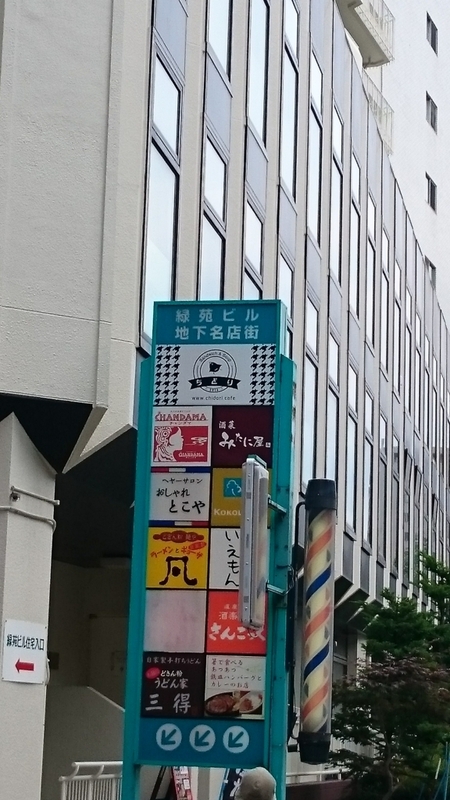 Although I got lost a little, I found a signboard when walking in the main street from Kita 5 street on the way in front of the botanical garden! Put in the basement directly from the sidewalk. When you go down the stairs, there are many shops and restaurants. Is there really? I am anxious. If you go all the way, there have been! Warm interior with solid wood in store. The brightness of the light is calm but not too dark It is just fine. I do not feel the effect of the window on the side wall of the aisle or the feeling of obstruction which tends to be in the basement. Comfortable is good. The interior of this shop had lots of things to be helpful for DIY. Counters, tables, wooden mosaic tiles at the corners of the wall, etc. If you like DIY please try going. I wanted a water server. I have examined it on the Rakuten Market, so I'm considering buying it. You can imitate arranging wood grain perforated plywood on the entire wall. And finally it's about the menu. 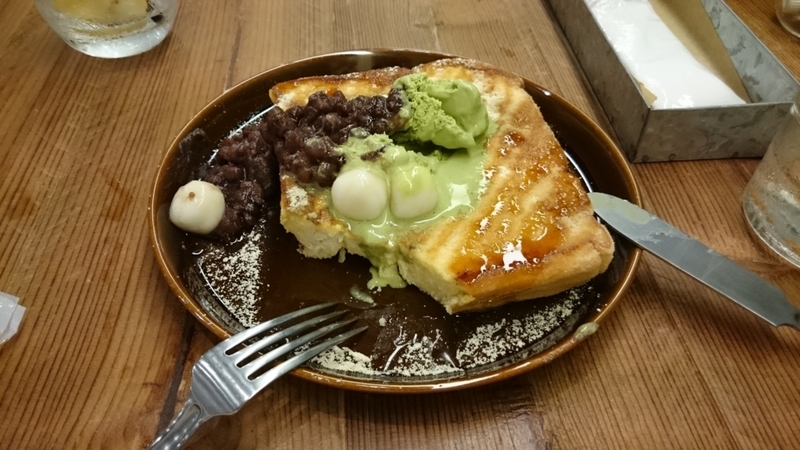 The restaurant also have soup and sweets as sandwich center. Sandwiches are healthy items with plenty of fresh vegetables. There is no meat menu covered with bad oil in your body. Soup has two types of HOT and cold. There is also a soup menu using seasonal vegetables. 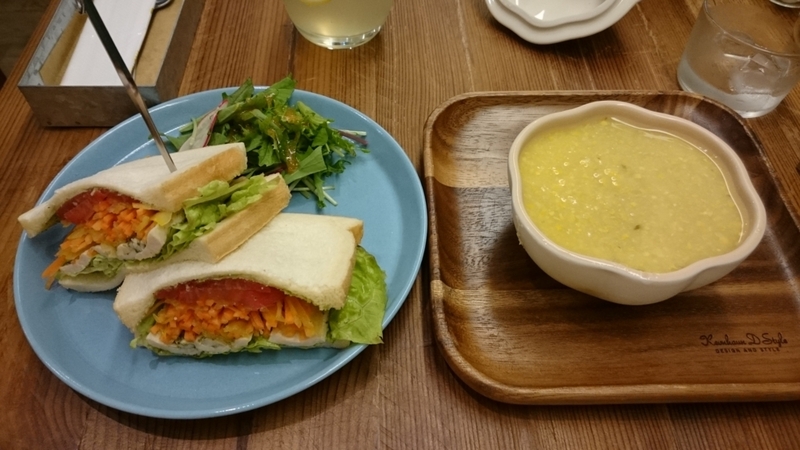 My choice is sandwich with chicken and cold soup of corn. Sandwiches, plenty of vegetables. No matter how much you eat, you will not feel guilty. The cold soup dares to leave grains of corn dense and has a sweetness with a mouth feeling and it is delicious. And, tableware is also fashionable. Next is drink and dessert. lemonade. This is high-quality feel. Dessert is French toast. I forgot to take a picture and ate a little. This French toast is a fair volume sense. I think I will be full with this one. The topping ice cream seems to be using high-quality things (Belgium? Forgot?). It is protagonists in this alone. I went with aiming for a light lunch but I am full of orders if only this one is ordered. The price was over budget, though. It is comfortable, so I definitely want to visit again.